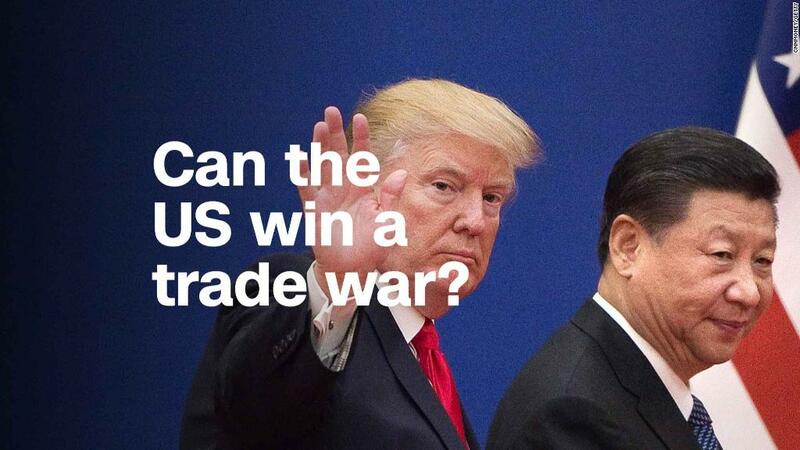 A $44 billion tech deal just became the latest casualty in the escalating US-China trade war. American chipmaker Qualcomm (QCOM) confirmed it was terminating its proposed takeover of Dutch counterpart NXP (NXPI) on Thursday after China failed to grant it regulatory approval. Qualcomm said it would proceed with a stock buyback of up to $30 billion that it had promised shareholders should the NXP deal fall apart. NXP also announced Thursday that it would buy back shares worth $5 billion. The companies had been waiting nearly two years for their deal to clear global regulatory hurdles. The takeover had been approved in eight other jurisdictions, including the European Union and South Korea, since it was announced in October 2016. China was the lone holdout. The final deadline was midday Thursday in China, and Beijing's Ministry of Commerce simply let the clock run out. At a weekly press conference later in the day, Commerce Ministry spokesman Gao Feng ducked questions about the deal, advising reporters to check with market regulators for details on China's decision. "This case is about the enforcement of antitrust laws. It has nothing to do with China-US trade," Feng said, according to Chinese state media. China's State Administration for Market Regulation did not respond to a faxed request for comment. Qualcomm had already warned investors that the deal would likely fall through. CEO Steve Mollenkopf said during an earnings call Wednesday that the company would not extend the deadline. Continued uncertainty surrounding such a large deal "introduces heightened risk," Mollenkopf said. "We weigh that risk against the likelihood of a change in the current geopolitical environment, which we didn't believe was a high probability outcome in the near future." The San Diego-based company, which employs more than 33,000 people, is now stuck with paying NXP a $2 billion breakup fee. Qualcomm will make the payment on Thursday, according to NXP. This is just the latest blow for Qualcomm, which has found its business dealings tied to broader trade negotiations between the United States and China. The tech industry has become a key battleground in the trade fight between the world's two largest economies. President Donald Trump blocked a $117 billion takeover of Qualcomm by rival Broadcom (AVGO) in March, arguing that it could help China beat the United States in developing 5G technology. The following month, the Trump administration imposed a crippling ban on Chinese smartphone and telecommunications company ZTE, preventing it from buying crucial parts from American companies. The ban was a one-two punch for Qualcomm: As a major supplier of chips for ZTE's (ZTCOF) smartphones, Qualcomm lost business during the three-month ban; then its planned merger with NXP became linked to ZTE's fate. After the US government struck a deal allowing ZTE to resume business with American companies, there was hope that Beijing would approve the Qualcomm-NXP deal. But then the trade fight escalated. The United States imposed tariffs on Chinese goods worth $34 billion last month, citing alleged Chinese theft of US intellectual property as justification. China responded in kind. President Trump then threatened to target an additional $200 billion worth of Chinese products. China is also keen to develop a competitive chip industry and decrease its reliance on foreign chip suppliers. The Qualcomm-NXP deal would have helped the United States expand its influence in the global chip industry and "bring negative impacts on a wide range of industries in China," said JH Lin, an analyst with research firm Trend Force. Qualcomm would have also strengthened its technological know how, which "would be a huge challenge or even risk for Chinese chipmakers and the domestic semiconductor industry of China," Lin added.